Lloyd George ceased to be prime minister in 1922. The Second World War broke out in 1939. And if you saw this, would you not think: ‘Hmm, can that be right? 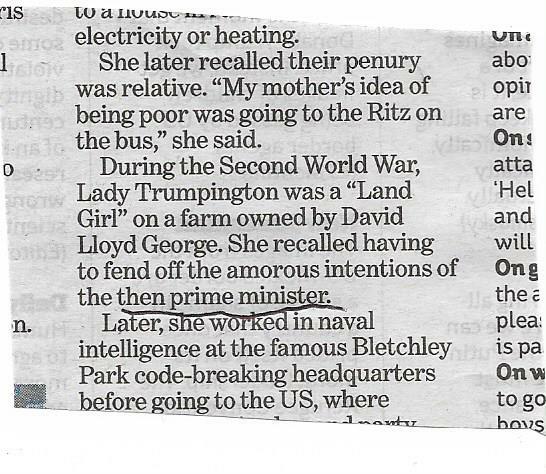 Would a wartime prime minister have time to chase Land Girls?’ I have gone on and on about checking things, but if you are not 100 per cent certain that something you are handling is right, look it up. In this case the sub cannot have been certain, because it was not right.